Why Pokémon Sun and Moon Trials Are Better Than Gym Battles | Nerd Much? There are a lot of changes in Pokémon Sun and Moon, among the most notable is the elimination of gyms and gym leaders. In the franchise’s 20 year history never before has a game not included gyms and badges. Some may roll their eyes at this and dismiss it as “change for the sake of change” but I disagree. 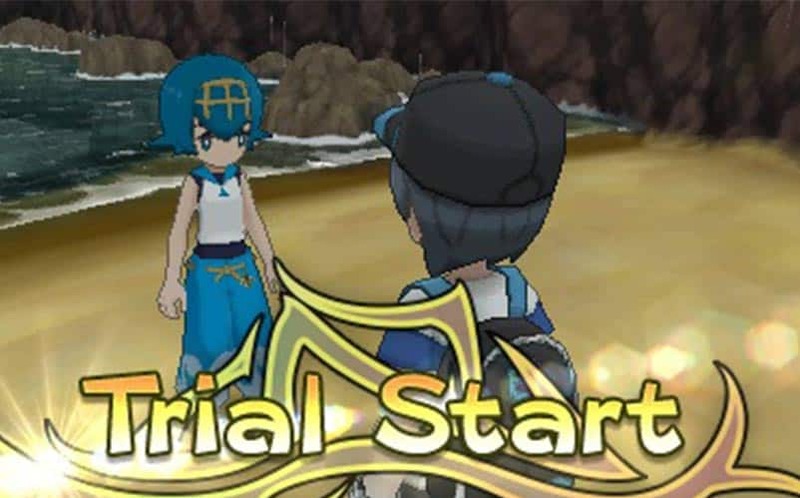 While island trials certainly share similarities with gym battles, trials place a greater emphasis on the region and Pokémon — making it fit perfectly with Sun and Moon’s Alola region. 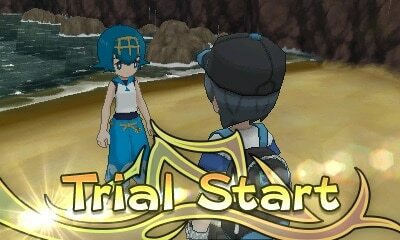 At first glance, Pokémon Sun and Moon’s trials/grand trials seem like just a cosmetic change. In previous games, each gym included multiple trainers to defeat before facing the main gym leader. Additionally, some gyms had simple puzzle elements. In Pokémon Sun and Moon, rather than face weaker goons, the player faces wild Pokémon. And, rather than face a gym leader, the player faces a totem Pokémon and the Trial Captain. Similarly to gyms, trials can include addition challenges that have gathering/puzzle elements. Each island has a grand trial which involves facing the island leader. In previous games, players were rewarded with badges. In Pokémon Sun and Moon, the player is rewarded with a Z-Crystal. At the end of the day, trials and gyms have a lot in common. These similarities make the transition painless for long time fans because it doesn’t affect the gameplay too drastically. After all, a battle is a battle. But there’s significant meaning behind this seemingly small change. Pokémon Sun and Moon’s removal of gyms changes your goals as a trainer. It’s not just about being better than other trainers, it’s about being in tune with your Pokémon and being able to take on wild ones. And not just your typical wild Pokémon, but totem Pokémon. Totem Pokémon are larger than regular Pokémon, have increased stats, and can call ally Pokémon to assist them in battle. The fact that Totem Pokémon are part of the trial is huge (no pun intended). These Pokémon appear without a trainer and are still one of your more challenging hurdles. Totem Pokémon aren’t just powerful, they’re smart in their strategies. 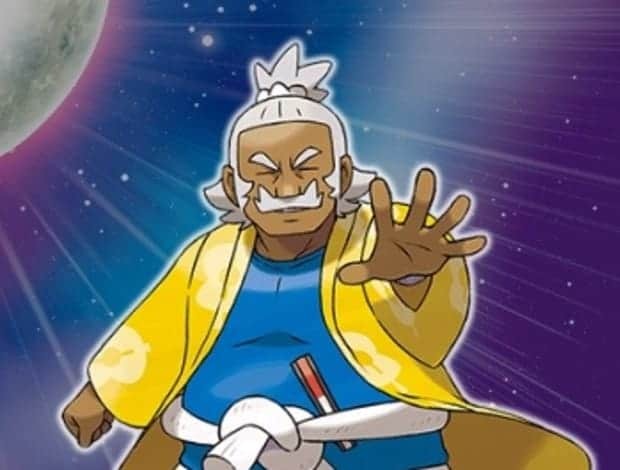 This means if you really want to become a master in the Alola region, it’s not enough to step to the strongest trainers; you have to step to the strongest Pokémon. In previous games gym badges merely served as proof of your skill and, technically, allowed you to control higher level Pokémon. Instead of badges, players receive Z-crystals. Each different Z-crystal corresponds to a different type of Pokémon in the Alola region. These crystals allow trainers to perform Z-moves. In order to perform a Z-move, your Pokémon needs to learn a move, that’s the same type as a Z-Crystal, and needs to be holding the corresponding Z-Crystal. These moves are extremely powerful and can only be used once per battle. As described by the official Sun and Moon website: “When the Trainer and Pokémon’s wishes resonate with each other, and both release their full power together—the result is the explosive force of a Z-Move.” Pokémon and their trainers are far more connected by Z-crystals than they ever were with gym badges. And while I, personally, choose not to use the Z-moves due to their overpowered nature, I can’t deny it’s a theatrical and charming display of strength between Pokémon and their trainers. To complete the grand trial, you have to face a skilled trainer–but even this exchange emphasizes the relationship between people and Pokémon. Grand trials are ran by the island leader, known as the island Kahuna. Kahunas are chosen by the Pokémon known as guardian deities, which are also found on each island. Kahunas aren’t just experts in their field, they’re given additional status due to their relationship with these Pokémon. Pokémon Sun and Moon is the perfect game for leaving gym battles behind. The more I think about it, the more I realize everything the Alola region is all about the land and the creatures that inhabit it–even more so than in previous games. The game makes it a point to mention that the closeness between humanity and Pokémon is different in Alola than in other regions. It’s cultural, it’s sacred, and that makes it far more than a competition. The fact that other Pokémon can call ally Pokémon speaks to the kinship between the Pokémon in the Alola region. And while being able to play with your Pokémon isn’t new to the franchise, the emphasis on cleaning and petting your Pokémon is yet another way the game focusses on your relationship with Pokémon. In some ways mastery is still about “being the very best, like no one ever was” but the focus is turned inward. The Pokémon universe has always placed an importance on loving and respecting Pokémon but Alola takes it to the next level. From the initial encounter with Team Skull, where they were completely ignored, to your “rival” who cares more about fun than competition: Pokémon Sun and Moon reminds players that it’s not just about being better than others.